Regulations Handbook in Food Services from C.H.I.P.S. European Food Law Handbook highlights the consequences of this combination and provides insights in both substantive and procedural food law. 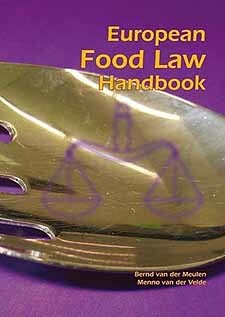 European Food Law Handbook analyses and explains the institutional, substantive and procedural elements of EU food law, taking the General Food Law as a focus point. Principles are discussed as well as specific rules addressing food as a product, the processes related to food and communication about food through labelling. The European food law handbook is produced in co-operation with the European Institute for Food Law and is relevant for practitioners and scholars both with and without a background in law. It is ideal for education purposes.